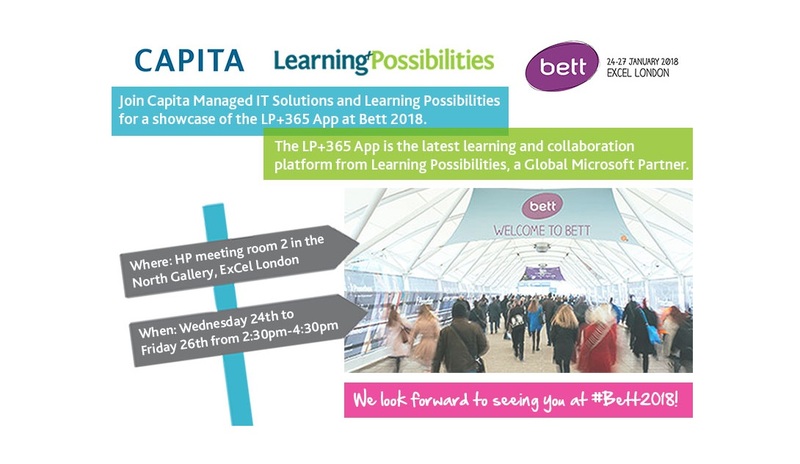 Join Learning Possibilities and Capita at Bett UK 2018. We are thrilled to showcasing the latest version of our LP+365 App and the new updates we have to offer such as student analytics! We will be in HP meeting room 2 in the North Gallery of the ExCel Centre. You can book a time to meet us here.